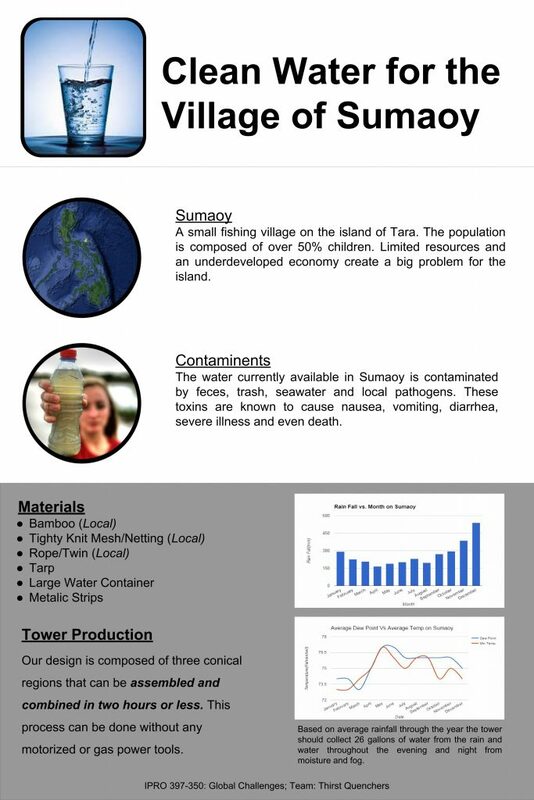 This team decided to tackle the issue of clean drinking water in the small fishing village of Sumaoy on the island of Tara in the Philippines. The water currently available is contaminated by feces, trash, seawater and local pathogens that can lead to serious illnesses and even death. This teams approach is to use local resources to build towers that will collect rainfall. Their design is composed of three conical regions that can be assembled and combined in two hours or less without motorized or gas powered tools.